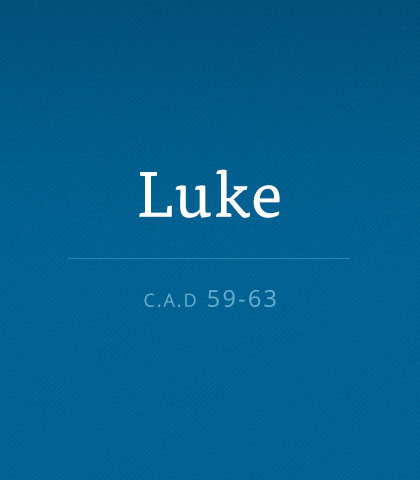 Dr. Luke, Paul’s travelling companion, was probably the only Gentile writer of any part of the New Testament. His Gospel focuses on providing a complete account of the life of Jesus. Certainly, none of the other three evangelists gave us a more detailed or descriptive analysis of the Saviour’s birth, childhood, and manhood. For millennia, average Christians as well as learned theologians have strained more than one brain cell to try to understand the incomprehensible mystery surrounding the conception and birth of our Saviour. We'll not lose ourselves in the unsolvable riddle that is the conception of God the Son. Rather, we'll lose ourselves in the wonder that is God the Holy Spirit's most significant mission. Zacharias, Mary, Joseph, and Herod all heard God’s message. So what accounted for their different reactions? Zacharias doubted, Mary and Joseph believed, and Herod rejected the message. And each of their responses had significant results. Nazareth isn’t some holy hamlet. It’s a rugged and dirty place, always has been. But it was there, in that lonely town, Mary was visited by the angel Gabriel and told she would bear the Messiah, the Saviour of the world. The first Christmas was simple, not a lavish event. Jesus’ birth remains the purest and most beautiful story in all of history. Christ didn’t arrive with the flare of trumpets or with flags flying. He didn’t demand an announcement for whole the world to hear, though He deserved it. Jesus just walked in. Take some time to reflect on the nature of Jesus Christ’s Incarnation—born to peasant a girl in a smelly barn in an obscure town and worshipped by a few people. This humble story reveals the character of our Messiah, who humbled Himself to save the people He loved.